While tramadol might be considered one of the least potent opiates with a low potential for abuse and addiction, these problems do occur regardless. Abuse of tramadol is a problem for many individuals, and without treatment it can lead to a crippling addiction. If you are taking tramadol for a medical condition, it is important to be aware of the dangers associated with it and to educate yourself on what constitutes abuse. As tramadol is a quite strong opioid painkiller, it is commonly prescribed to treat pain that occurs after a surgical procedure or that is associated with a serious injury. Tramadol can also be given to those suffering chronic pain when regular over-the-counter medications are no longer effective. Typically available in tablet form, some forms of the drug are produced as a liquid. When abused, tramadol pills are often crushed and then snorted. Despite being less potent than other opiates such as methadone and heroin, tramadol can still induce similar effects such as a warm feeling, relaxation, sedation, and wellbeing. Tramadol is an opioid medication that is typically prescribed for the treatment of moderate to severe pain. The drug usually begins to take effect within an hour of taking it, making it an appropriate medication for treatment of pain. It is sometimes combined with paracetamol to increase its efficacy. Tramadol is prescribed for both acute and chronic pain, but because of its addictive nature (albeit lower than other opioids), it should always be used with caution. The painkilling effects of the drug tend to last for around six hours and as a comparison, it is about one-tenth as strong as morphine. This puts it on a par with codeine as one of the less potent opioid drugs. However, just because tramadol is less powerful than other opioid drugs does not mean it is not harmful. When taken in high doses or when mixed with other depressant substances, tramadol can cause serious problems. Tramadol is classified as a Class C drug in this country and is only available on prescription. This means that it is illegal to possess it without a prescription. It is also illegal to give prescription drugs to another person, knowingly or otherwise. Even giving it away for free can lead to a conviction. In a nutshell, being in possession of tramadol without a prescription could mean a two-year prison sentence and an unlimited fine. Selling it or giving it away could see you facing up to a fourteen-year prison sentence as well as an unlimited fine. How Can Tramadol Be Addictive? Just as with other opiate drugs, tramadol has the potential to be addictive. Over time, you can develop a tolerance to it, which will make it less effective in terms of providing certain effects or relieving pain. With prolonged regular use of tramadol, a dependence can also occur. This means that your brain and body have adapted to function with tramadol in the system and so you may find that when you try to quit, you will experience unpleasant withdrawal symptoms. Many individuals find that they get caught in a cycle of abuse trying to avoid these symptoms. Taking higher doses of tramadol to avoid physical or psychological symptoms or to achieve a specific level of satisfaction or pain relief can lead to addiction. At this stage, you might experience cravings for the drug and a compulsive desire to use it, despite negative consequences occurring when you do. Tramadol is an opioid drug that acts on the brain’s opioid receptors. It depresses the central nervous system and blocks pain signals from travelling from nerves in the body to the brain. When taking tramadol as directed by a doctor, addiction is rare. However, when it is abused the risk of addiction is exponentially much higher. Common side effects associated with tramadol include dizziness and nausea. Mixing tramadol with alcohol or other opioids will enhance the effects of each substance, thus significantly raising the risk of overdose. Tramadol is not suitable for children under the age of 12. Pregnant women should not take tramadol because of the risk of severe and even life-threatening withdrawal symptoms that can occur in newborn babies. Tramadol is not suitable for use in those with severe breathing problems. The typical recommended dose of tramadol in adults is 50 to 100mg every four to six hours as required. The maximum dose is 400mg per day. Opiates such as tramadol are prescribed by medical professionals to treat pain. They work by blocking the pain signals that usually travel from certain parts of the body via the nervous system to the brain. As opiates are stronger than regular painkillers such as paracetamol and ibuprofen, they are only available on prescription. From this, you can understand that they are usually used in cases of moderate to severe pain where regular painkillers are not working effectively. Tramadol abuse is an increasing problem but unfortunately, most people who do end up abusing the drug do so without realising. It may sound strange to think that someone might not know they are abusing a particular drug. However, in the case of prescription medication, there is a fine line between use and abuse and most individuals just do not realise what the latter is. Many people do not realise that increasing their dose of a prescription medication such as tramadol without a doctor’s authority is classed as abuse. Giving a prescription medication to a family member or friend to help with a painful condition is extremely dangerous. Doctors must assess, among other things, a person’s age, weight, and underlying medical issues before writing any prescription. They must also assess whether the medication they are prescribing could interact with anything else that the individual might be taking. 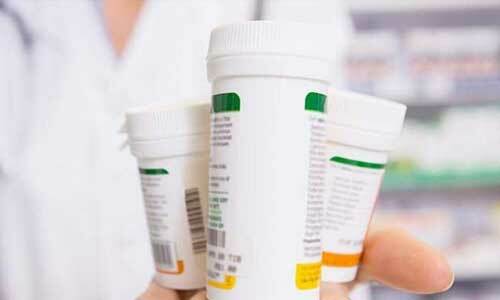 Giving another person your prescription medication could be putting their life at risk. Tolerance to tramadol can occur with regular use. As the brain begins to get used to the drug, it will adjust its response. This means that the substance will become less effective as the tolerance builds. You will find that when your tolerance levels increase, you will need more tramadol to achieve the desired feelings of relief. Continuing to take tramadol at the recommended dose may mean that you are not getting the pain relief you need. At this point, it is important to consult your doctor instead of just increasing the dose, which is what many people end up doing. Increasing the amount of tramadol that you take can easily result in a dependency where your brain and body learn to function with the help of the drug. You will find that when you become dependent on tramadol, your body’s ability to deal with pain without the substance in the system is severely diminished. Furthermore, when you try to quit tramadol, you are likely to experience a range of withdrawal symptoms as your brain and body struggle to cope without its presence. It is often the presence of these withdrawal symptoms that trap individuals in a cycle of abuse. They will continue taking the drug to avoid the unpleasant symptoms that they know they will get when cutting down or quitting the medication, but the continued use of it is likely to increase their chance of developing an addiction. Once an addiction to tramadol has developed, it is never advisable to try to quit the drug suddenly. Doing so could increase the chances of severe withdrawal symptoms manifesting. To overcome your addiction then, you will need to stop taking tramadol, which preferably should be done in a dedicated detox facility. Moreover, know that in a dedicated detox facility a medical approach might be used in your situation. When it comes to withdrawing from tramadol, it is quite common for a substitute drug to be prescribed. Taking a substitute opioid drug such as methadone or buprenorphine will help to reduce the severity of the tramadol withdrawal symptoms, and possibly might even prevent some from occurring at all. The use of other opioids will allow the brain and body to adjust slowly to the removal of tramadol. Methadone, for example, stays in the system longer than tramadol does, which means that you do not need to take it as often. As well as this, as it acts on the same receptors as tramadol does, your brain will have time to get used to the withdrawal of tramadol. Buprenorphine is another drug that can be used as a substitute, and it is a partial opioid agonist that is also longer acting than tramadol is. So while it will stay in the system longer and act on the same receptors, it does not cause such a high. Addiction to tramadol can be extremely dangerous, particularly in terms of the increased risk of overdose. Those who develop such an addiction will often be tempted to increase their dose of the drug to continue achieving the relief or effects they desire. However, taken in high doses, tramadol can cause an overdose situation. Some people will get to a point where they combine tramadol with other sedative substances or take it in a way in which it was not intended. Some even crush the pills and snort the powder to enhance the effects but doing so can lead to disastrous consequences. When tramadol addiction does develop, you could feel that you are unable to cope with everyday life without the drug. You might experience intense anxiety, for example, if you are struggling to get your hands on the drug. With continued use of the drug, your ability to sleep properly will be affected and you will have a higher risk of seizures. Tramadol addiction can also have implications for relationships as well as overall wellbeing. As the illness progresses, it will creep into every aspect of your life, with harmful consequences wherever it touches. You are highly likely to become preoccupied with the drug and your life could start to revolve around it. You are likely to have less time for others and have a distinct lack of interest in spending time with those you love. You might find it more difficult to meet your commitments and to perform well at work, which could then have a negative impact on your income and financial situation. As your need for tramadol grows, you might begin ‘doctor-shopping’, where you visit more than one doctor for multiple prescriptions. This is something that many addicts do. Others will try to find tramadol elsewhere and may look online on the dark web for sellers. Doing this though gives you no guarantee of the purity or strength of the drug and could increase your risk of serious harm. A tramadol overdose is a problem for anyone abusing the drug. This is particularly so if it is taken in a higher dose than indicated by a medical professional or if it is mixed with another substance. If you notice any of the above signs after taking tramadol in either a large quantity or combining it with another drug or alcohol, it is important to get help immediately. You should also call medical help for a person you are with if you believe that he or she may be suffering the symptoms of a tramadol overdose. In extreme cases, central nervous system depression can result in seizures, coma and even death. Therefore, getting help immediately could save a life. An intravenous dose of naloxone is often used to reverse the opioid effects of an overdose. According to the World Health Organisation, the risk of seizures are rare among those taking therapeutic doses of tramadol. However, when the maximum dose of 400mg is exceeded the risk increases significantly. Furthermore, while breathing difficulties are rare with therapeutic doses of the drug, during tramadol overdose respiratory distress is quite common. The risk of overdose is higher for those taking the drug without a prescription, but even those prescribed the drug for medical reasons could be at risk of overdose if combining tramadol with another sedative substance that will also depress the central nervous system. Not fully understanding the risk of tramadol abuse often results in accidental overdose, with many individuals failing to appreciate how dangerous it is to drink alcohol while also taking the drug. Alcohol increases the effects of tramadol to a dangerous degree. Mixing the two can bring about drowsiness and dizziness while cognitive function and judgement could be severely impaired. 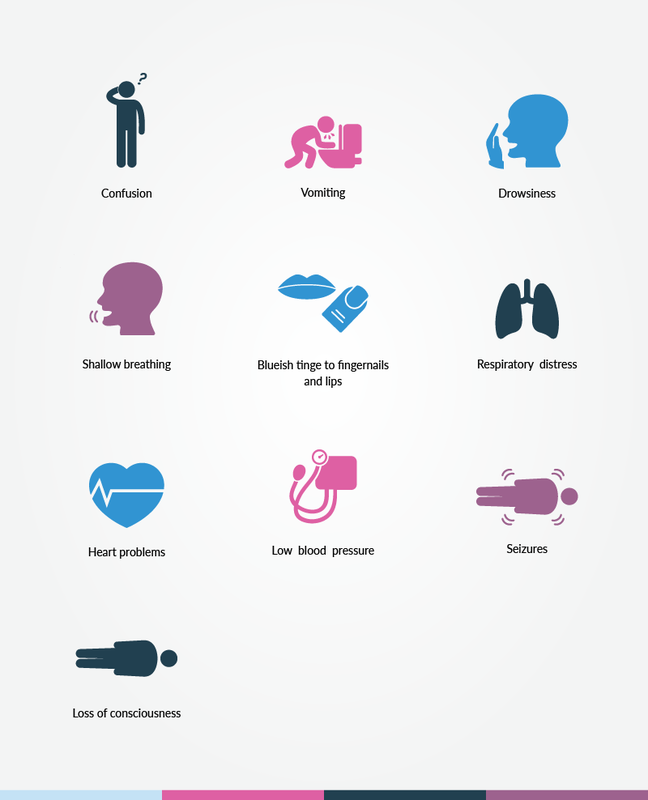 If the effects are severe enough, you might struggle to breathe or suffer cardiac arrest. Without medical intervention, these effects can obviously be life-threatening. In the event that you may have taken more than the maximum daily dose of tramadol, it is wise to seek medical care. If you notice any of the symptoms of an overdose after taking more than the recommended amount of the drug or if you have mixed it with another drug or alcohol, then emergency medical attention will be required. Medical care is also necessary if you have developed an addiction to tramadol. It is common for those affected to hope that things will get back to normal without treatment, but when it comes to addiction, this is rarely the case. 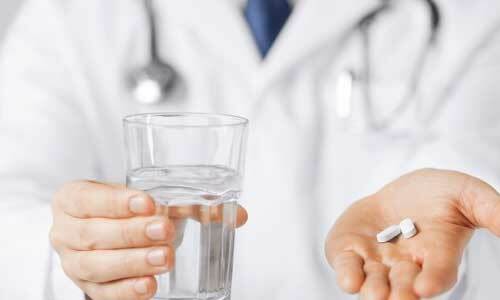 If your use of tramadol is interfering with daily life, medical care may be necessary. There is no single cause for drug abuse or addiction. There are, however, many risk factors that increase the likelihood of one person being affected over another. In the case of tramadol abuse, it often occurs due to an increased tolerance to the drug and a desperate need to achieve a specific level of pain relief from a medical condition. Imagine being given a drug that could provide relief from severe pain that over-the-counter medications just could not. Then imagine that after a while that same drug became less effective. In your desperation, you might believe that taking a slightly higher dose of the drug would be okay. Unfortunately, when it comes to prescription drugs, taking more than the recommended dose is not only classed as abuse, but it is also dangerous. While unintentional tramadol abuse is often caused by an increased tolerance to the effects of the drug, there are those who deliberately abuse tramadol because of its sedative and euphoric effects. Some abuse tramadol for recreational reasons while others do so to numb the pain of past experiences or to self-medicate from symptoms of a mental health disorder such as depression or anxiety. Family history of addiction is a huge factor. People with mental health issues tend to fall into addiction more often than those without. Unresolved emotional trauma often leads to conditions such as PSTD and consequential addiction. Environmental influences often cause addictive behaviours especially in teens and other risk groups. Having all the above risk factors does not necessarily mean that you are guaranteed to abuse a substance or develop an addiction – it just means that you are more likely to be affected than someone with none. In a World Health Organisation report on Tramadol, analysis of drug-poisoning databases for the Office of National Statistics revealed that the number of deaths where tramadol was cited on the death certificate in England and Wales increased from 87 in 2009 to 154 n 2011. It was noted that there had been an increase in the number of tramadol prescriptions issued from 5.9 million in 2005 to 11.1 million in 2012. The mention of tramadol on death certificates rose again in 2012 to 175. These increases led to Tramadol being classified as a Class C substance under the Misuse of Drugs Act 1971. Between 2006 and 2013, there were 661 cases of tramadol abuse reported worldwide. The total number of individuals with a dependence on the drug was 327. Of those, 5 cases of abuse and 28 cases of dependence were reported in the UK. Human studies have found that the potential for abuse of tramadol is low when compared to morphine. Those who do abuse the drug typically have a history of substance abuse. As mentioned already, tramadol is often abused by those looking for relief from mental health disorders such as anxiety and depression. Substance abuse commonly occurs alongside mental health problems because mood-altering chemicals can provide temporary relief by lifting mood and generally making the user feel better. What often happens though is that those who use substances such as tramadol to change the way they feel will go on to develop a dependency on the drug. This means then dealing with two issues, making treatment much more complex. When it comes to treating co-occurring disorders, or dual-diagnosis as it is also known, it is difficult for treatment providers to distinguish which symptoms are being caused by which disorder. Without specialist training and knowledge, it can be tough to determine where one disorder starts and another ends. Treatment for co-occurring disorders is complex and typically lasts longer than treatment for a substance addiction alone. Both disorders must be treated at the same time to ensure that a return of the symptoms does not occur at a later date. Tramadol should not be mixed with other sedative drugs or alcohol due to the potential for serious complications. When one or more depressant substance is combined, the consequences are often severe. The central nervous system will be affected, and this could result in breathing and heart rate slowing to dangerous levels. A severely depressed central nervous system can result in respiratory failure, cardiac arrest, and death. If you are taking tramadol, it is vital to avoid alcohol, other opioids, benzodiazepines, and barbiturates, as mixing any of these substances can lead to fatal overdose. Tramadol addiction is typically treated in two stages. The first is detox to tackle the physical addiction, which is followed by rehab, where the patient learns more about his or her illness and how to overcome it. Rehabilitation programmes for tramadol addiction can take place in either an inpatient or an outpatient facility. Which type of programme you choose will depend on how severe your addiction is as well as personal circumstances and commitments. 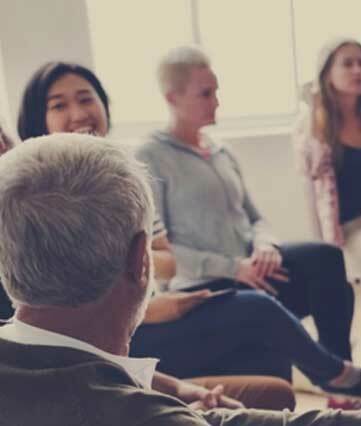 Regardless of whether you have treatment in an inpatient or outpatient clinic, the aim will be the same; to help you get to the root of your problem and to develop effective strategies to avoid a return to addictive behaviour in the future. There are many methods a treatment provider can use to achieve this objective. 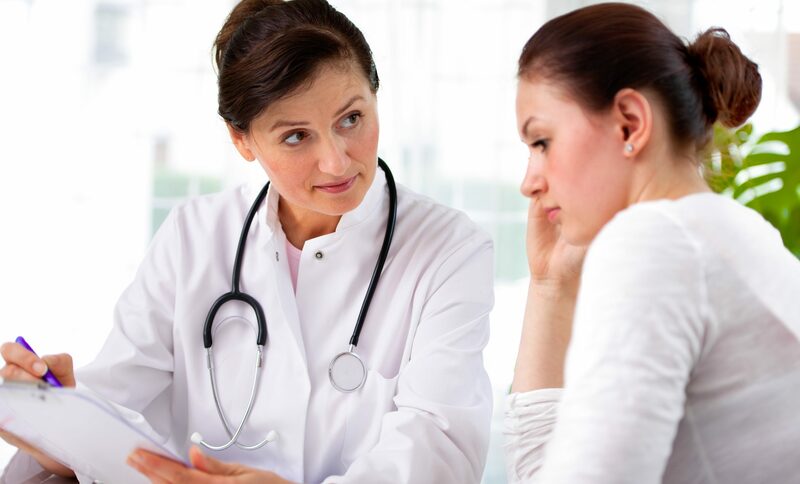 You are likely to be given a treatment plan that has been designed specifically for you. Not everyone will benefit from the exact same plan, even when having the same illness. Treatment is all about finding what works effectively for you, and this is something that your treatment provider will explain in more detail. Together you can discuss your likes and dislikes and create the perfect plan of care. Talking and behavioural therapies help you get to the cause of your illness while showing you how to make the necessary changes to avoid a relapse in the future. However, your treatment plan may also include holistic therapies. Holistic therapies are also known as alternative or complementary therapies, and when used in conjunction with behaviour modification and talking therapies are extremely effective in helping you achieve permanent sobriety. Holistic therapies heal the mind, body, and spirit, reduce stress levels, curb cravings, and improve overall wellbeing. A comprehensive treatment programme that incorporates both traditional and holistic therapies will improve your chance of long-term success. Tramadol detox is necessary before you start treatment for the more complex emotional issues associated with your illness. You need a detox to flush the toxins from your body as well as to help you break the cycle of substance abuse. For your comfort and safety, it is recommended that you detox in a special facility with fully trained staff in attendance. In a detox facility, pharmacological and psychological interventions can be used to make the process easier. During the detox process, you are likely to experience a range of withdrawal symptoms as your body adjusts to the removal of the tramadol. Symptoms of opioid withdrawal are often compared to those experienced during the flu, so you can expect to feel quite unwell. You may have chills, agitation, fever, headaches, nausea, and vomiting. Nevertheless, these symptoms can be managed in a supervised detox clinic. You may be wondering if rehab is necessary after completion of a detox programme. After all, you have managed to quit tramadol and are now clean, so why do you need more treatment? The reality is that detox only deals with the physical side of addiction; it does nothing to address the underlying issues that might have caused it in the first place. As well as helping you to identify the reasons you became addicted to tramadol, rehab will provide you with the necessary skills and tools to avoid a return of it. How can I spot tramadol Addiction? If you are worried that you have developed an addiction to tramadol, there are certain signs to look out for. Addiction usually causes a preoccupation with the drug. You might spend your days thinking about it or talking about it and you may begin to revolve your life around your use of it. If you are addicted, you will likely lose control over your use, and even if you know that you are likely to experience negative consequences when you use it, you will be unable to resist. You might also experience withdrawal symptoms whenever you try to quit or reduce your consumption. .
What is the goal of tramadol addiction treatment? When you enter a programme of detox and rehabilitation for a tramadol addiction, the aim will be to help you quit the drug and learn how to live without it. Through a combination of medication, behavioural therapies, and holistic treatments, you will have the opportunity to put substance abuse behind you once and for all. How bad is tramadol addiction? Tramadol addiction is like any other addiction in that it can cause problems in many aspects of your life. Continued use of this mood-altering chemical could affect both your mental and physical health while other aspects of life will also suffer, namely your relationships with family members, friends, and work colleagues. If you are spending more and more of your time under the influence of tramadol, you will have little time for anything else. Your ability to work may be impaired and this can affect your income levels. You might also be tempted to mix tramadol with other substances or purchase street versions of the drug, which could put your life in danger. 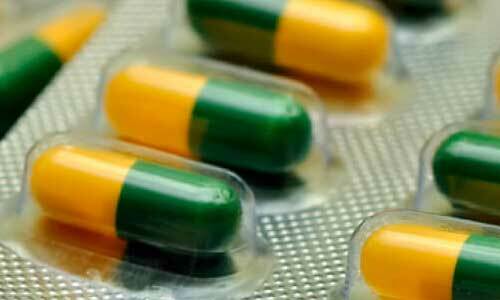 How to cure tramadol addiction? It is possible to overcome tramadol addiction and to move on to a substance-free life. However, addiction is not a curable illness. With an effective treatment programme, you will learn what triggers your addictive behaviour so that you can avoid it in the future. With ongoing maintenance, there is no reason why you cannot live a healthier and happier, clean, and sober life. How to help someone who is addicted to tramadol? If someone you love has a tramadol addiction, you will probably want to do everything you can to help him or her overcome it. What you should be aware of is that your loved one might not be ready to accept help or even to admit that the problem exists. The best thing you can do is to tackle the subject head-on. Even if you are met with angry denials, you should not give up. By forcing your loved one to face the issue, you will be holding him or her to account. Many people hope that the problem will go away if they do nothing, or they will beat around the bush, hinting instead of tackling it. This only allows the addict to pretend as if everything is okay and gives them the opportunity to carry on with the addictive behaviour. If you would like information or advice on how to help a loved one with a tramadol addiction, you can speak to us here at UKAT. You can also get help from your doctor or your local support group.